Secure Pro Double Wheel Safecracking/Lockpicking Practice Lock | BUDK.com - Knives & Swords At The Lowest Prices! 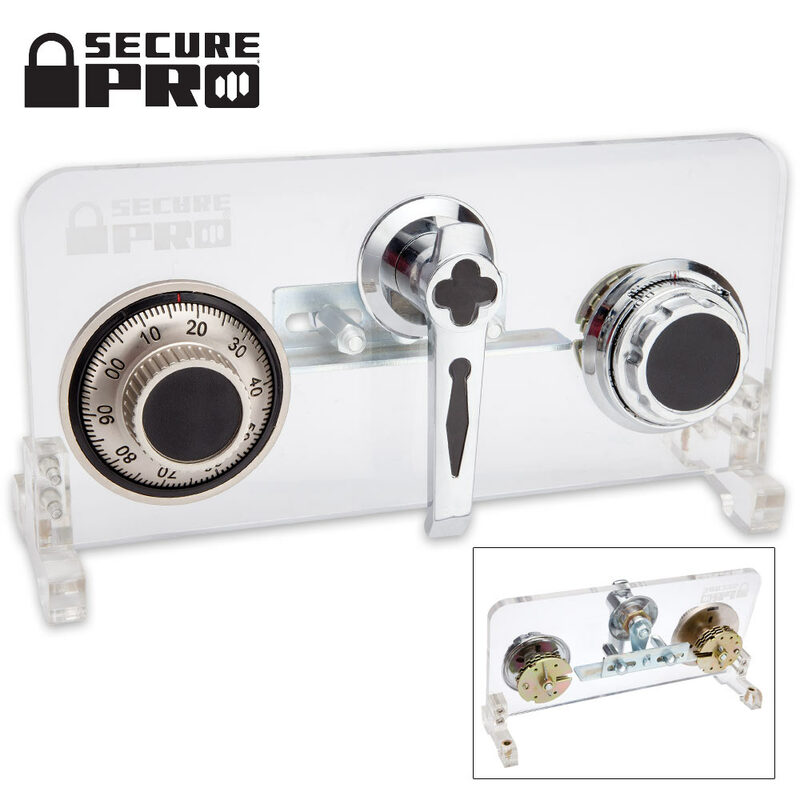 Learn safecracking without the jail time with this clear practice rotary combination lock. 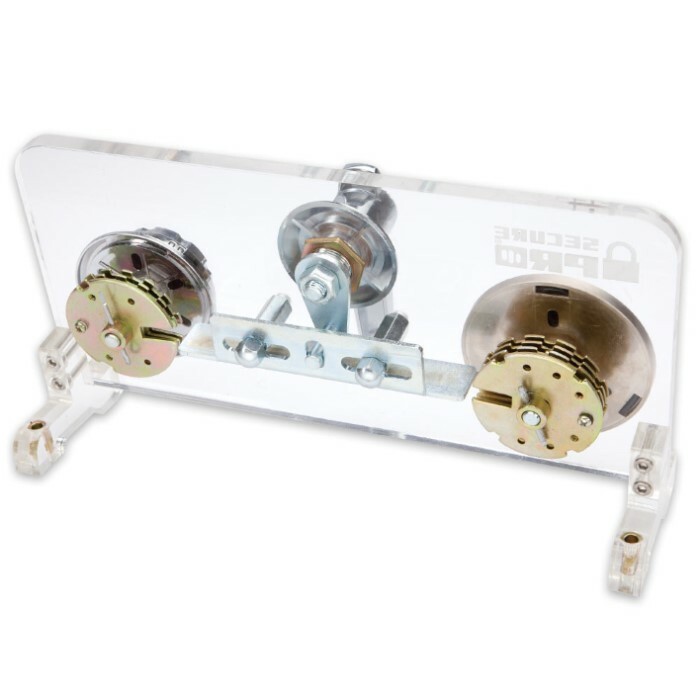 The clear cut away allows you to view the inner workings of the lock and understand how it works, in order to eventually learn to “park the wheels” and “crack the safe” without being able to see the components. You’ll learn how the contact points, levers and notches align and work together to “crack” or unlock any safe with this lock in just minutes. Lock manipulation is a fun hobby for adults and minors alike. Do you have what it takes to heist the jewels or become a 00 agent? Find out today with this fun and entertaining way to learn safecracking.For legal reasons, we cannot include directions with this product.